The Summer of 2017 found Texas native David Beck lost and looking for inspiration: an impromptu house party was where it all changed. There on the big screen TV, volume on full blast, was Selena and her band shaking the Astrodome with a sound that resonated and caused a chain reaction inside. He was instantly captivated and knew his next move. 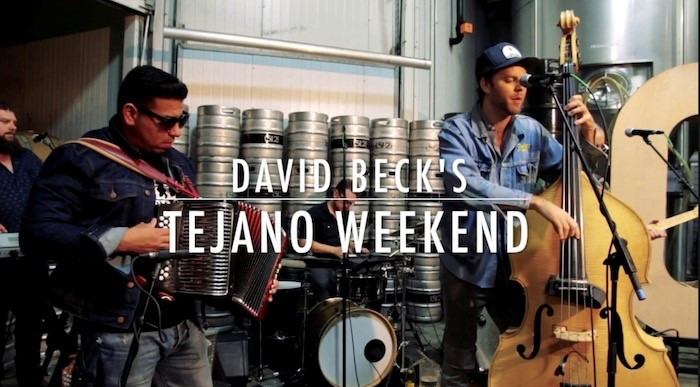 He began devouring Tejano music, one of the soundtracks of his birthplace San Marcos, Texas. He began writing and recording Tejano inspired music, and naturally began playing shows. Gathering up friends, he quickly had a band: blazing accordion, shimmering keys, cranked guitars, upright bass and drums. The sound he’s created is traditional Tejano sung in English. Every song is a dance track, every show is a party focused on friends, family, and bringing the two together. David is no stranger to the stage, he took his previous bands Sons of Fathers and Blue Healer from The Grand Ole Opry to Bonnaroo, from Gruene Hall to Austin City Limits, all while fronting the groups from the Upright Bass. This latest incarnation of his art will surely leave fans with limp legs and happy hearts.